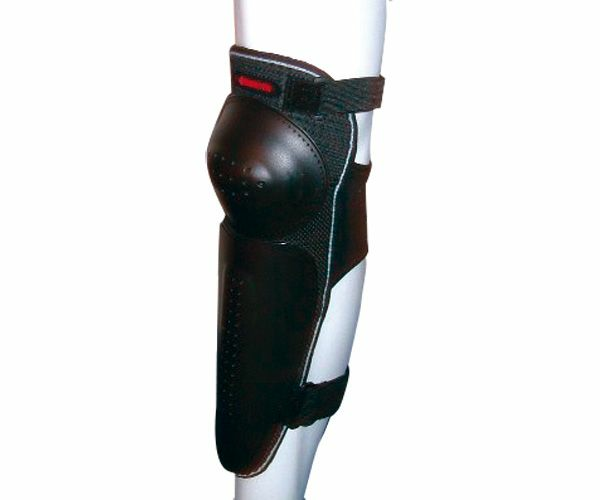 For skiers, the kneeguard shinguard protection against distortion of the knee joint, a knee injury that frequently occurs in skiing. For alpine skiers is also a lower leg injury to the common injuries, the kneeguard shinguard will reduce the risk of this injury. The kneeguard with shinguard also for snowboarders a good protector against fracture, bruises and abrasions. Excellent knee and shin protection by the flexible plastic protectors. These thermoplastic protectors are durable and do ventilate. The wide elastic band and 2 Velcro straps ensure that the knee shin guard ski / snowboard protector optimal fit and does not shift. Can be worn under ski and snowboard pants and over the pants. Color Black. Price per pair.